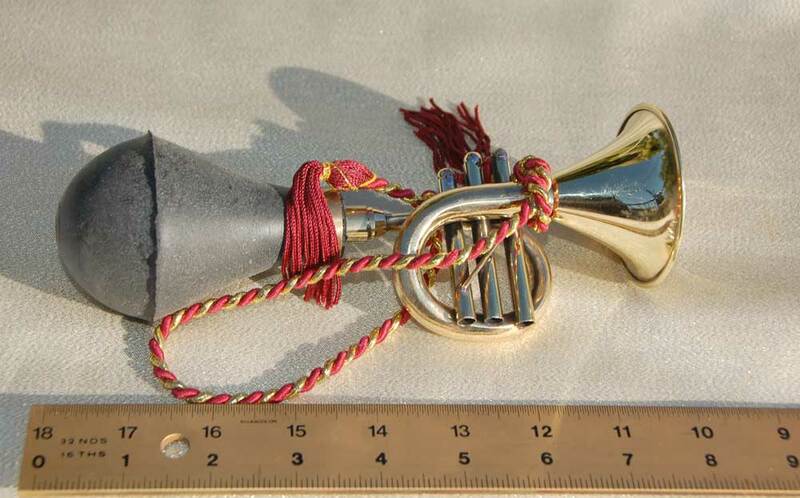 Small brass plated ‘trumpet’ squeeze horn with braided ribbon. One trumpet style brass squeeze horn. $25. Free US Shipping. Includes 1 attaching bracket.